I have several female friends who enjoy an amazing career in the tourism business. There is the fellow journalist who runs a fabulous bed and breakfast place in a quiet, lush village just above Bhimtal in the Kumaon hills. There is Shilpa Sharma, founder Breakaway. It is Shilpa's love for travel that makes her curate experiential journeysalso for you and me to undiscovered destinations in India. Last winter I took a group of three friends from Europe all over Rajasthan following a route suggested by Breakaway. We enjoyed Agra too before traveling to Jodhpur and back to Delhi. On the same journey I met Vandna who has converted her family bungalow in Agra into an attractive home stay called The Coral Tree. The place is a marvelous surprise in a city that is famous for little else apart from the Taj Mahal. There are countless five star hotels in Agra but they are quite unaffordable by the likes of me. Situated on the Taj VIP road, The Coral Tree is an oasis. It is just six minutes away from the Taj Mahal. The walk to the majestic monument is a pleasant experience with shops and restaurants in plenty. Once the Taj Mahal is seen, the desire is to return to the cozy comfort of The Coral Tree. Gopal, Vandna's husband is an approved tour guide and other relatives make sure that guests are fed fresh home cooked meals on the family dining table. Then there is the very spunky Puneetinder Kaur Sidhu, author of Adrift – A Junket Junkie in Europe. Her blog is called Cutting Loose and is a treat for travelers looking for tips on where to go and what to do. The Chandigarh based Puneetinder is a great listener and has collected delightful stories from her constant wanderings. 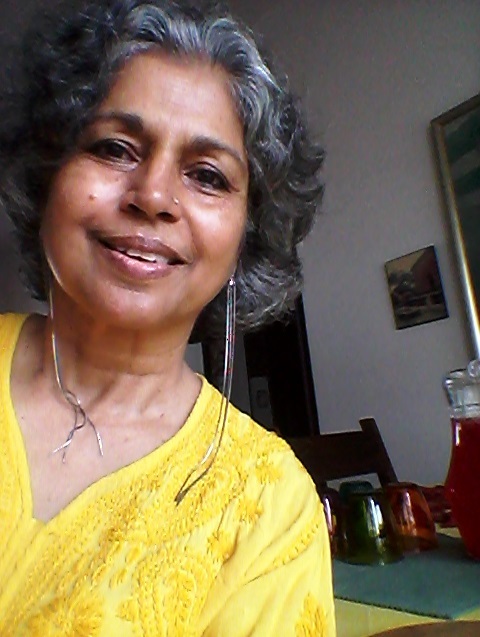 She is the author of over a dozen guides for Lonely Planet and the Times Food Guide for Chandigarh. I must not forget to mention Madhavi Bhatia, owner Sunnymead Estate in Shimla. What a great job Madhavi has done in renovating this colonial style cottage inherited from an aunt. For want of a better word the place surrounded by an exquisite English garden is simply gorgeous. The meals are prepared by Madhu, majordomo at Sunnymead who seems to be more gifted than a magi. In the past I have been so busy enjoying the company and property of these female entrepreurs that I never got down to discussing matters of safety and security for women in the tourism industry. After all India remains one of the most dangerous countries for female travelers. What is it like for entrepreneurs? Incidents of sexual assault and harassment are regular. Governments worldwide warn against India’s poor safety arrangements for tourists, in particular women. This is a pity both for gender equality and for tourism prospects in the country. According to a United Nations report women play a crucial role in all aspects of the tourism industry while tourism empowers women politically, socially and economically. However more needs to be done to ensure equal pay for men and women for equal work, to raise employment quality and end all discrimination. Above all women must feel safe and secure at all times both as entrepreneurs and as tourists. Till that happens the full potential of the tourism industry and women will remain dormant. Mehru Jaffer is a Lucknow based journalist. She is the author of The Book of Nizamuddin Aulia and two other books published by Penguin. Mehru has lived in Europe and Indonesia and traveled all over India. Her next book on Lucknow will be released soon by Niyogi Books. Nature Conservation Day - Think Globally, Act Locally! IPE Triple Line participates in the African Risk Capacity Technical Review Committee. Let us choose the left for the right this time! Going back to the roots! Plastic or Biodegradable Paper Bags - Singapore has the answer!! What can a Project Manager learn from the Toshiba Accounting Scandal (2015)?